Economical polyester injection resin solution for anchoring into masonry. 2-component resin and hardener when mixed activate through a static mixer. 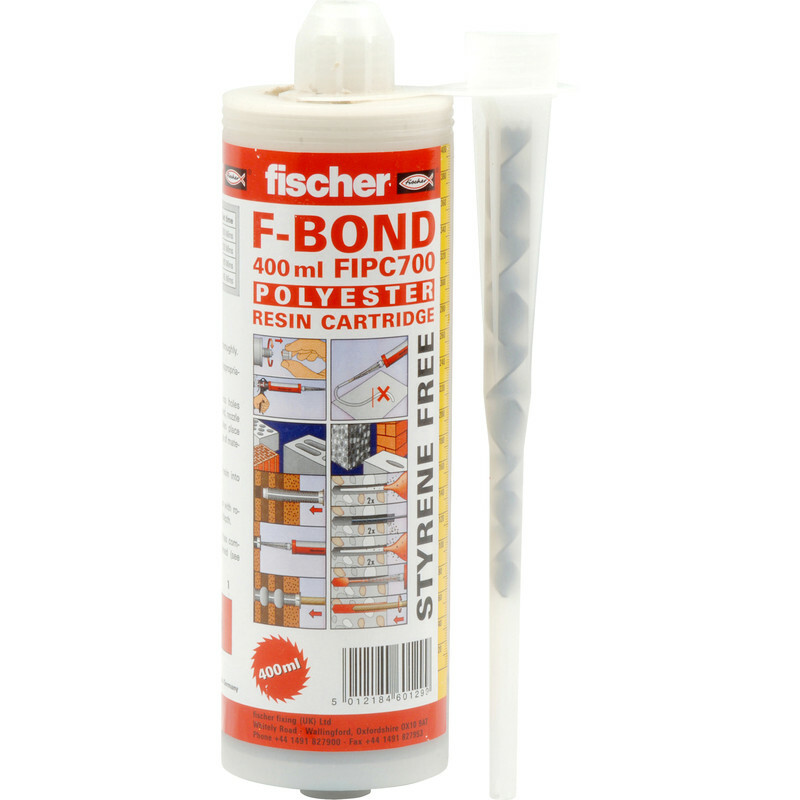 Fischer FIP 300 SF Styrene Free Resin 300ml Each C 700 SF 400ml is rated 4.0 out of 5 by 2. Rated 3 out of 5 by Hhggggggg from Needs a special gun. Bought this said it wiuld fit in a standard gun tried 3 different types and it didnt. Rated 5 out of 5 by Neil8032 from Fast set Bought this to fix gate pins in a block wall, worked perfectly and set really hard so I could hang the gates the same hour. Great product.